I was recently asked to photograph Dripping Springs Gardens for a new publication called Arkansas Food and Farm. I’ve purchased many things from Dripping Springs over the last 20 years at the Fayetteville Farmer’s Market, so I was very excited to have the opportunity to spend some time at the farm and see where all of the beautiful flowers and produce are grown. The farm is located about an hour from Fayetteville, and quite a ways down a dirt road. It sits at the bottom of a valley with a spring-fed creek that runs around the edge of the property. 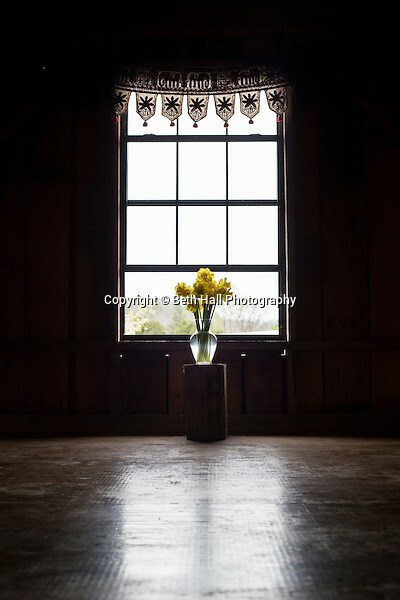 There’s a beautiful home, barn and several greenhouses on the property, and was everything I expected. Above the barn was a room dedicated to yoga. The owners, Michael and Mark, practice daily with the interns and said it’s a nice break from the afternoon heat in the summers. I really enjoyed my time there and it made me miss my farming roots. I spent my summers at my grandparent’s peach orchard where we managed 5,000 trees at a you-pick-em orchard. Those days at the farm are the majority of my childhood memories and had such an influence over the person I have become. Visiting the farm made my thoughts drift back to my dream of a farm, and an organic lifestyle. It was a wonderful experience to talk with two people who have practiced it for 30 years. I think the thing I’ve always loved most about my job is the people I meet and the stories I hear. It’s truly a wonderful job to tell other people’s stories through images.